This is your chance to win a 3D monoclonal model. Free! Step 1: Fill out the Contact Form on our website. Step 2: Enter "3D Monoclonal Model April 2019" in the "How can we help" section. Step 3: Click the box under CC to your email. 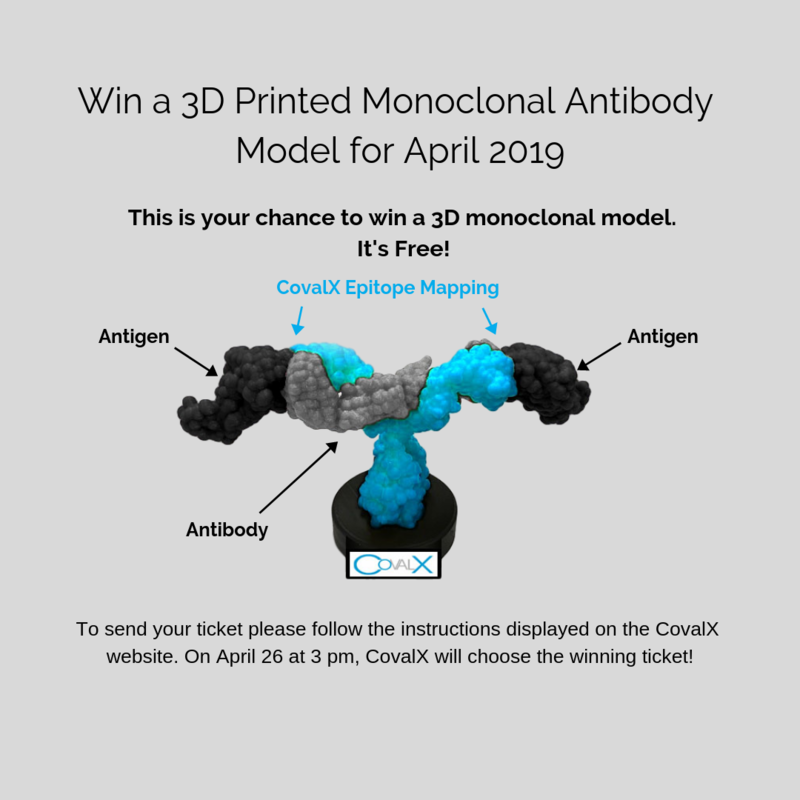 During the first week of May CovalX will send the 3D Monoclonal Model to the winner.